To say Craig Skrynyk is an avid runner is to put it mildly. He and his wife have run 93 half marathons with a goal of running 100 half marathons as a couple. With this passion for running and experience with races, Skrynyk makes an obvious choice to take over as organizer of the Loop Around the Lake from Bernie Maillet. “We’ve had a lot of exposure to races, lots of opportunity to attend races where there’s been many volunteers. “And we’ve always along the way said at some point we need to find a way to give back,” said Skrynyk. In taking on the task of organizing the Loop Around the Lake, Skrynyk has found a way to support both Chestermere and the running community. As he begins the work of planning the 2019 Loop Around the Lake, Skrynyk said that he is really happy to have taken over a well-established race. “It was already…pretty well established by Bernie,” he said. “I [can] take the reins and do some tweaking here and there and make it happen,” said Skrynyk. That said there are still challenges and a lot of hard work ahead for Skrynyk as he plans the 2019 Loop Around the Lake. He is also working slowly to put his stamp on the fundraising race that supports the Chestermere Public Library. Skrynyk’s goal is to build on the family atmosphere of Loop Around the Lake to make it a family race. The other big change he is making is the titular race, will be a standard 10 kilometre race. “I’m bringing the 10K to the race, we’re not going to have the 11 point something anymore it’s going to go to 10K,” he said. The other two races, the one and five kilometre, will continue with new names. The five kilometre race will be called the Loop Along the Lake while the one kilometre will be the Loop By the Lake. “I’m trying to bring that little Loop word back in there,” said Skrynyk. The final change that Skrynyk has made has been to partner with the running room. “In the past Bernie did everything himself, he put up signs, he put the ads in the paper,” said Skrynyk. In partnering with the running room, Skrynyk will get more help advertising the race and, he hopes, to be able to attract runners from the whole Calgary region to the Loop Around the Lake. In past years the race has drawn about 150 people, a number that Skrynyk hopes to be able to double. “If it really does what I think it will we could have anywhere from two, three, four, 500 people,” he said. 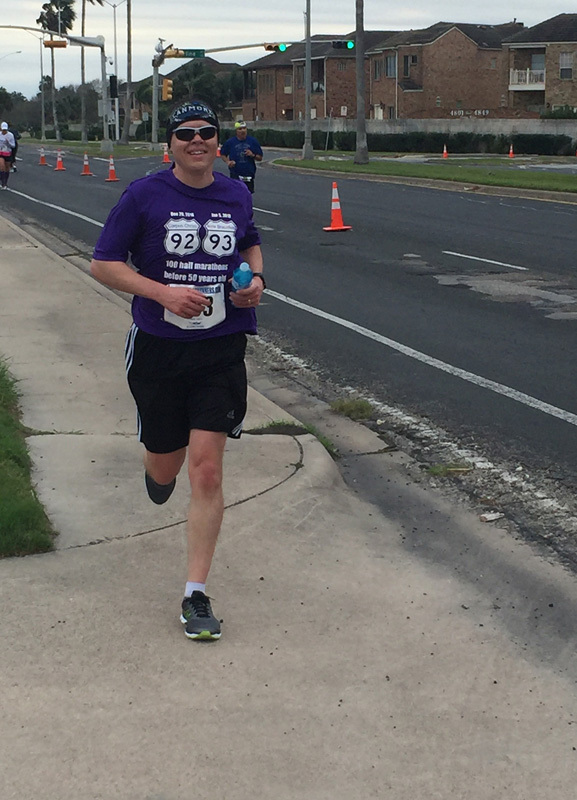 His goal to grow the race can only have positive results for the library who will continue to be the beneficiary of the fundraising effort of the race. Skrynyk said that just like in past years he and volunteers will be hitting the pavement asking for support and donations from the Chestermere business community.